High Nature Value farming systems are characterised by low-intensity, traditional land management. They typically support high levels of biodiversity and deliver other important ecosystem services such as carbon or water storage. The hay meadows, pastures and ‘allotment’ grasslands of the North Pennines are an outstanding example of High Nature Value farming. The headwaters of a number of rivers rise in the North Pennines Area of Outstanding Natural Beauty: the South Tyne, the East & West Allen, the Wear and the Tees. Drained by the higher reaches of these rivers, the upper dales are characterised by low-intensity livestock farming, principally hill sheep and beef cattle. A typical hill farm of the upper dales comprises a number of hay meadows and pastures enclosed by stone walls close to the farmstead, one or more extensive rough pasture ‘allotments’ below the moor wall plus grazing rights on the adjacent heather moorland and blanket bog on the summit plateau. 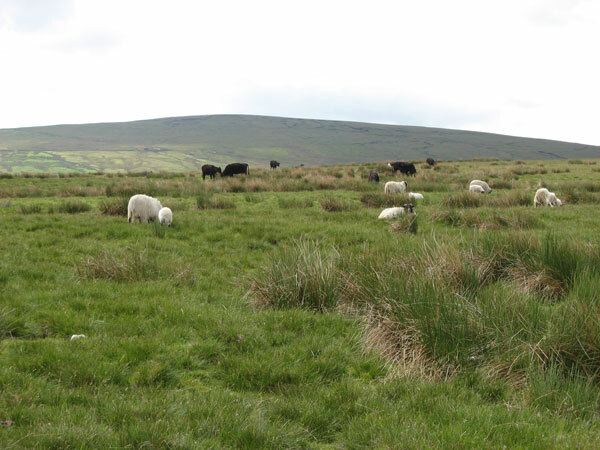 Throughout the farming year livestock are moved between the meadows, pastures, allotments and moorland. Typically hill sheep graze the higher grasslands and moorland throughout the year, being brought onto the enclosed pastures and meadows at lambing time or for short spells in the spring or autumn. Cattle graze the pastures in the summer and the meadows in the autumn; most are now housed over winter. The upper dales in particular, are characterised by harsh weather conditions: long, cold winters, high rainfall and short growing seasons. In response to the challenges faced by farming at comparatively high altitudes (300 – 600m) and in an extreme climate, farm management is low-intensity. Traditionally hay meadows are fertilised only with farmyard manure and are cut late in the summer. Stocking densities are kept low. This is farming at the edge of viability; farm incomes are marginal and depend heavily on the Single Payment Scheme and Agri-environment payments. Despite the arrival of tractors, quadbikes and other trappings of modern farming, the traditional pattern of farming in the North Pennines has remained largely unchanged for generations. As a result, the grasslands of the upper dales abound with once-common wildlife, now sadly lost from much of the rest of the English landscape. In spring and summer the pastures and moorland fringe grasslands are brought to life by the evocative calls and dramatic displays of breeding waders. Curlew, lapwing, snipe and redshank breed in very high densities in these grasslands. The proximity of rough grassland at the moorland fringe and species-rich hay meadows provides excellent habitat for black grouse. 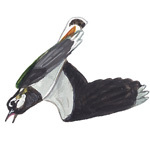 The North Pennines now supports virtually the entire English population of this large and charismatic bird. Grey partridges also favour these habitats and the importance of these upland populations is becoming increasingly recognised. The type of hay meadow found in the North Pennines is extremely rare. Upland, or mountain hay meadows, are under threat across Europe. 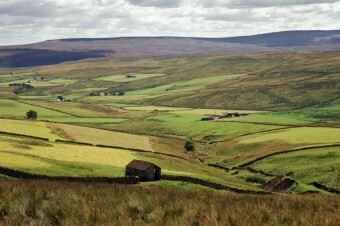 Less than 900ha are thought to remain in the UK, of which 40% are found in the North Pennines. The best meadows can support up to 120 different plant species. A subtly shifting kaleidoscope of colours, these meadows are a feast for the senses during the short weeks of summer and are known to provide a stronghold for nationally rare species like the moss carder bee. 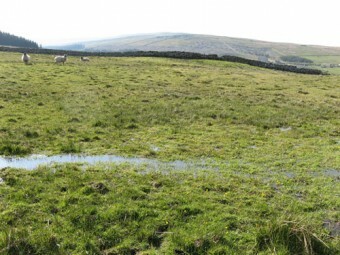 From a biodiversity perspective the value of the upper dales lies in their habitat diversity. Extensively-grazed rough grasslands at the moorland fringe lie next to damp, rushy pastures which themselves adjoin hay meadows rich in flowering plants. This intimate mosaic of habitats enables the survival of mobile creatures that depend on different elements of the landscape at different times. 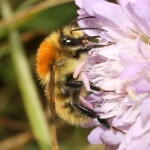 The bilberry bumblebee feeds on heather moorland in the early summer and then moves down to hay meadows when they are in flower; black grouse and grey partridge breed on the moorland fringe grasslands but depend on hay meadows later in the season; flocks of curlews and lapwings visit the meadows to feed after the hay has been cut. Low intensity, traditional farming in the upper dales has created a landscape rich in features important for wildlife – a broad fringe of rough grassland at the moorland edge, small-scale wetland features and flushes in pastures, species-rich hay meadows. Each of these features is important for the rich populations of wildlife that grace the North Pennines and each are dependent on the style of High Nature Value farming practiced here. Human settlement in the North Pennines reaches back into pre-history and has evolved in intimate association with the landscape. From this has sprung a rich cultural tradition and vocabulary uniquely associated with hill farming and its wildlife. But subtle changes are taking place. Hay meadows are being grazed more intensely in the spring and artificial fertilisers are increasingly favoured. Small-scale wetlands are disliked as they impede quadbike access. Housed cattle produce large amounts of muck which is spread in large quantities on meadows. 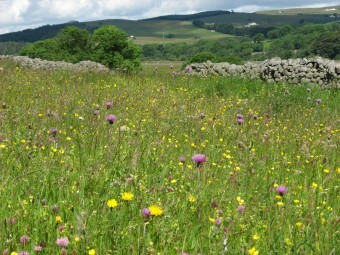 The number of species-rich hay meadows in the North Pennines is declining. These changes are an inevitable consequence of progress in agricultural technology and stretched farm incomes. A small number of farmers in the upper dales of the North Pennines Area of Outstanding Natural Beauty are the managing custodians of some of the richest wildlife habitats remaining in England. The role they and their ancestors before them have played in maintaining these habitats on behalf of the nation should be fully recognised together with the pressures they face in making an acceptable living in a harsh environment. As an area subject to High Nature Value farming, these communities merit targeted action to both support the traditional farming that they practice and the wildlife that depends upon this. Case study produced by Rebecca Barrett, North Pennines AONB Partnership.